Boats that follow me home. : Bridge deck clearance and some old boats. Or how about, when is it time to call it a day and dumpster a sailboat. 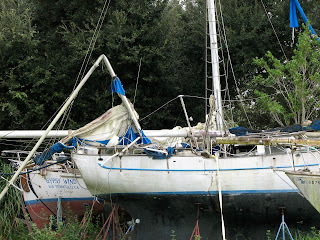 Another possible answer, when then mizzen mast AND the hull are broken in half. 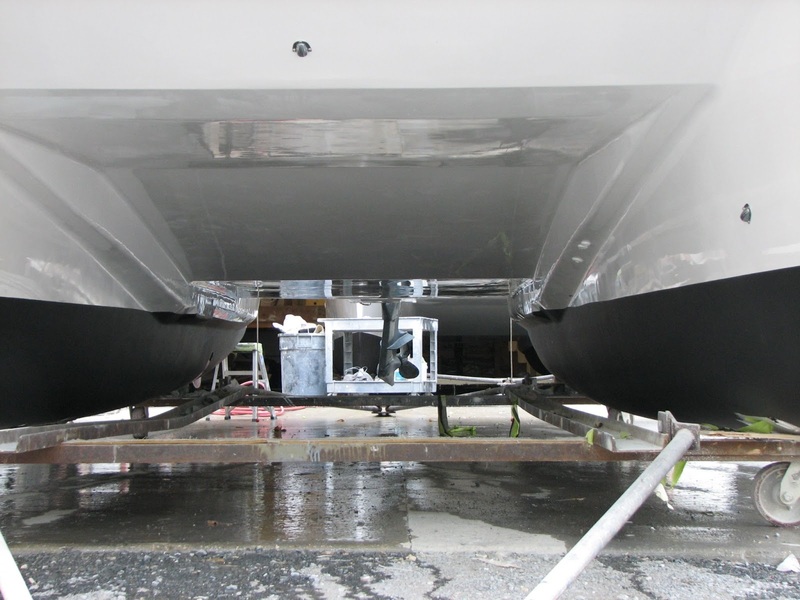 First a definition, on catamarans the structure between the hulls is called the bridge deck. This structure can be as simple as a Hobie cat tramp to the massive apartments as found on many larger cats. For real performance its necessary to keep this area between the hulls clear of obstructions. Knowing the above then I have to scratch my head and ask what were they thinking with the following designs. 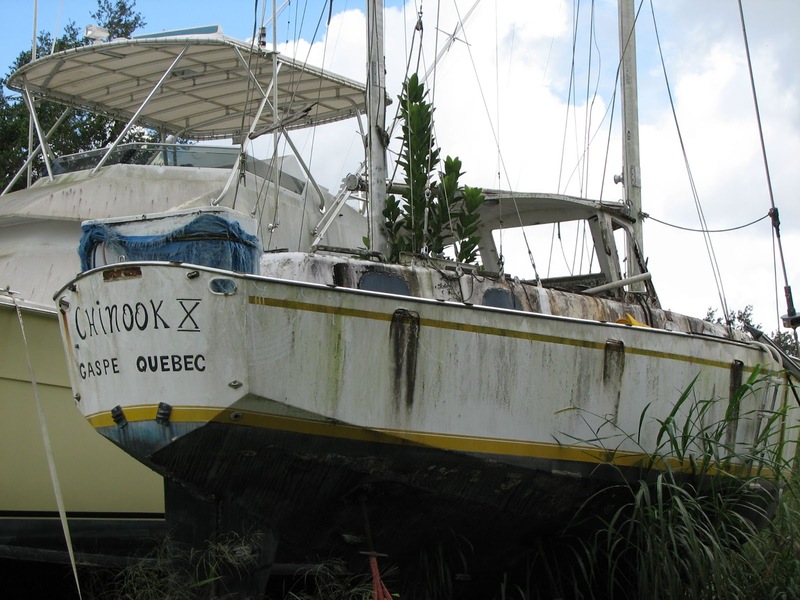 Here are a couple boats that the average person would call a catamaran. But these couple of boats certainly aren't going to live up to the sailing performance generally attributed to catamarans dragging those center pod through the water. 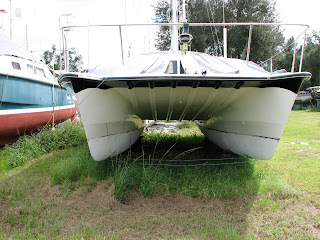 These boats were probably initially designed to carry those pods above the water by a few inches, but in the real world as soon as the between hulls bow waves get started those pods are in the water. Added to this basic design problem is that the average owner then fills these boats with every shore side connivence. The result is that most of these boats end up sitting well below their lines. 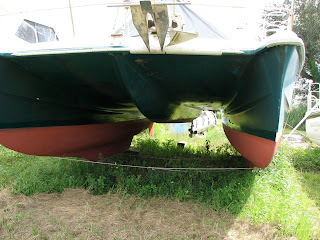 So the pods are always in the water as evidence by the bottom paint. And these final catamarans are just as poorly designed with respect the the bridge deck. It looks like a nice 36 inches, but quickly drops to about 10 inches. I can only imagine the pounding in any kind of seaway. Low bridge deck clearance is a pet peeve of mine. I learned the hard way. My first big cat, a Catalac 10M, had about 24 inches clearance back aft and would pound so hard water would spout up the cockpit drains. 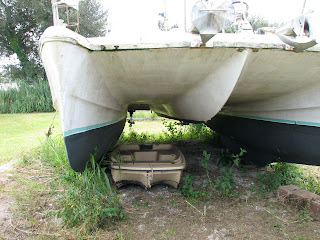 Then my next catamaran, a Heavenly Twins 26, had a center pod and had to be kept nearly stripped to keep the pod out of the water.